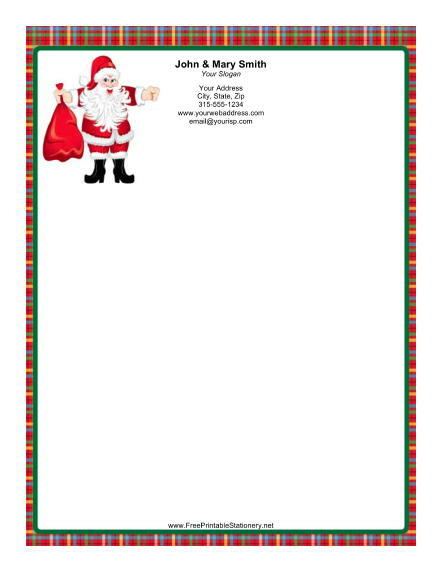 Santa Claus is the star of this Christmas stationery. He comes with a red bag full of gifts and is surrounded by a colorful plaid border and a festive green frame. A simple white background leaves plenty of space for writing Christmas letters this holiday season.